Where's wisdom when moms really need it? Right at their fingertips, thanks to 'Daily Wisdom for Mothers!' Following Barbour's popular 'Daily Wisdom for Women' and 'Daily Wisdom for the Workplace' (with combined sales of more than 460,000), this new book is by a mom-award-winning writer Michelle Medlock Adams-for moms. 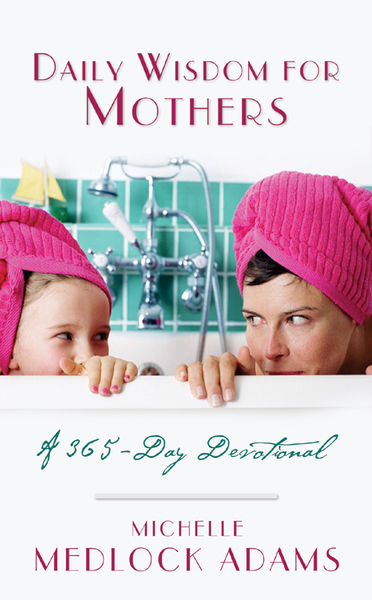 Especially for women with children at home, 'Daily Wisdom for Mothers' offers 365 brief, relevant, and biblical reflections with monthly themes such as worry, unconditional love, discipline, and praying. Each will show mothers how Scripture applies to their everyday lives-and equip them to be the best moms they can be.